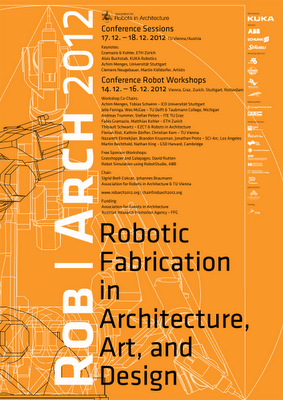 Rob|Arch 2012 have now sent out their author notifications. 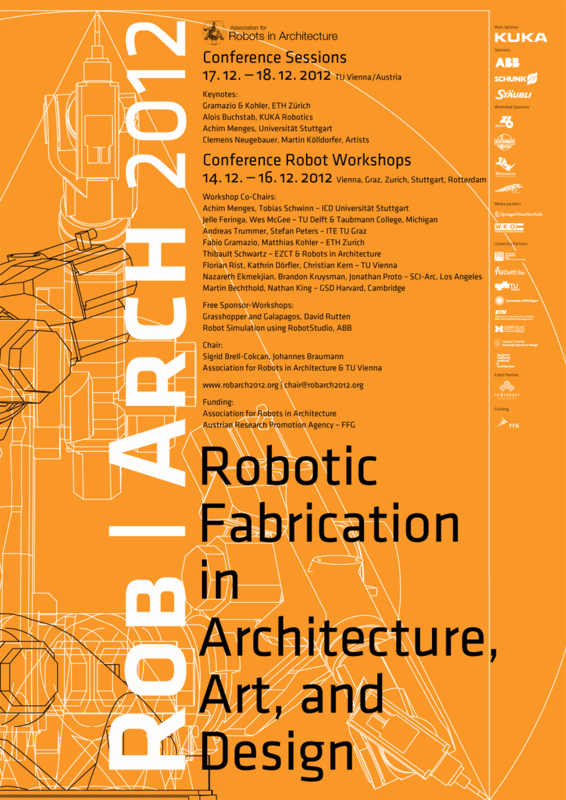 If you have not received an email, please check your spam folder or contact chair@robarch2012.org. Also, the registrations for the free sponsor workshops are now open at the registration.robarch2012.org. These workshops are provided by the sponsors McNeel and ABB free for conference attendees. In the McNeel workshop, Grasshopper developer David Rutten will provide insight into Grasshopper, while the ABB workshop will expose attendants to the robot programming software RobotStudio. Seats are limited and only available for registered conferences attendees. The registration page now also offers a conference only registration, though we strongly recommend everyone to take a workshop. They offer a unique chance to get a look at today’s cutting edge robotic research institutions.